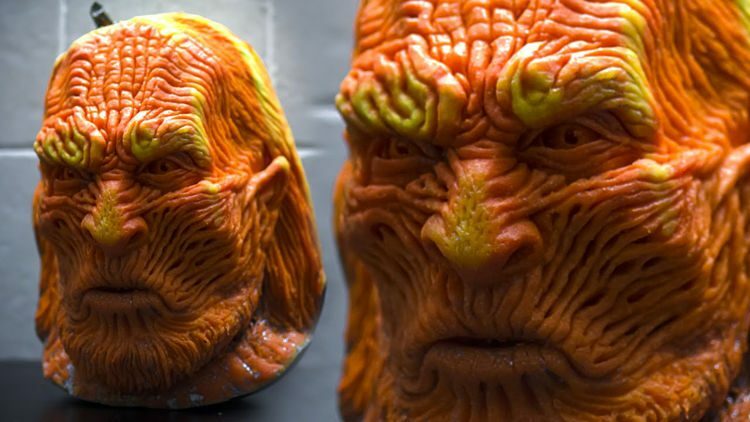 From giant wheels of parmesan cheese to watermelons and even truffles, it seems that there’s no solid food that talented artist Valeriano Fatica cannot sculpt into an incredibly detailed artwork. Valeriano Fatica developed an interest in the arts from a very young age, but spent most of his time helping at his family’s restaurant in Oratino, Italy, so he didn’t have time to experiment with traditional mediums. Instead, he started expressing his artistic talent with what he had on hand, fruits and vegetables. Today, Fatica is considered one of the world’s best food artists, and has several achievements to his name, like becoming the world’s first and only truffle sculptor and creating the world’s largest watermelon carving. “Since I was a child I liked art, but working in my family’s restaurant I didn’t have time to spend with sculptures or paintings. So I decided to use fruit to express myself,” Valeriano Fatica said about his beginnings in the world of food sculpture. Later on in life, the self-described “painter, sculptor, performer, and carver of fruits and vegetables” went to art school, but dropped out after only one year, calling it a “waste of time”. Fatica says that watermelons remain his favorite medium, but he can work with virtually any solid food, including parmesan cheese. The talented Italian food artist loves sharing his latest creations with his fans via the internet, posting new content on various social networks, like Instagram and YouTube. For more information about Valeriano Fatica, head over to his official website.